The first product is actually a duo containing her new liquid contour and highlight products. It's The Hollywood Contour Duo, which contains the Hollywood Contour Wand and Hollywood Beauty Light Wand. There was a £7 saving by buying both in one set and I am really into using cream products at the moment so I went ahead and bought both. I absolutely love both products - from the packaging to the texture, to the blendability, to the shades and the staying power. HOWEVER, it is very easy to waste product as the tiniest squeeze releases a lot of product and there isn't an awful lot on the tube to begin with! I feel like I wasted £10 of each on first use! I already own one Charlotte Tilbury brush, which I love and I wasn't sure if any of my existing brushes would work well with the Contour Duo so I bought the Hollywood Complexion Blush. This is a double-ended synthetic brush - the larger, flat-top end is perfect for buffing foundation in or for the liquid contour (although it's difficult to be very precise) and the small angled head at the other end is perfect for contouring with cream products. It's easy to contour with this brush - particularly on the sides of the nose. I'm not the biggest fan of liquid lipsticks but I had to try one of her new Hollywood Lips so I went for the shade Rising Star, which is a warm pink. The doe foot applicator hugs the lips to allow for precise application. I like the formula of this liquid lipstick because it isn't drying, however the down side of that is that it isn't the longest lasting product - I can manage around 4 hours before needing a top up. This, I can live with because I hate very drying lip products. I also love that it doesn't settle into, or exaggerate any lines on the lips. I'm not usually the greatest fan of cream shadows but I've tempted to try the Charlotte Tilbury version since they were released so I picked up Eyes to Mesmerise in the shade Veruschka, which is a golden/grey/green shade, which really flatters my green eyes. So far, so good with this cream shadow - I always prime my lids with Nars primer and whilst this doesn't last as long as powder shadows on my oily lids, I can still get a good 6 hours before creasing begins. Finally, my lovely (and very generous) friends; Dagmara, Dorota and Leanne kindly bought me Airbrush Flawless Finish Powder in Medium for my birthday, which I have lusted after for so long and I can confirm that it is completely worth the hype! This is a powder for both powder and non-powder fans alike - it literally smooths the skin and makes it look flawless and poreless, yet not cakey or matte. I absolutely love it and am so thankful to the ladies! I think I've earned a place in #CharlotteTilburyaddictsanonymous but it's a badge I'd wear proudly! 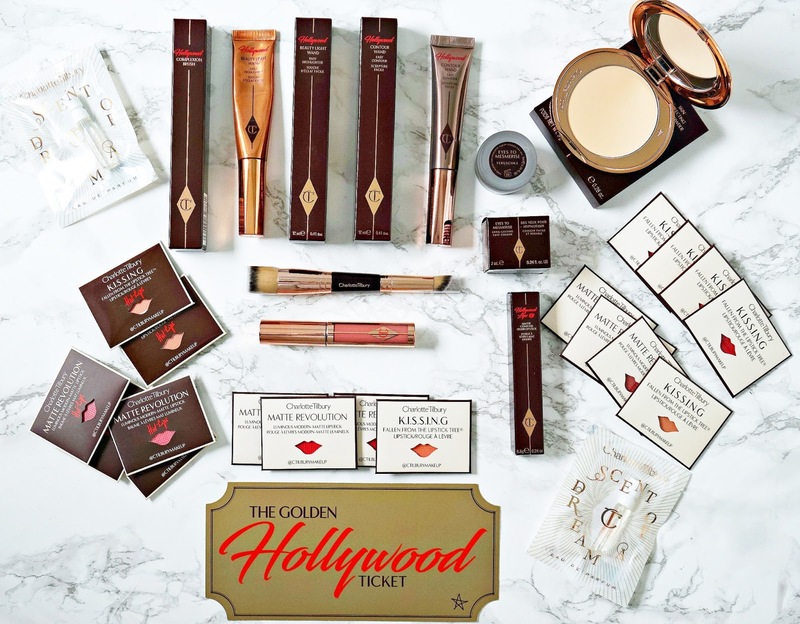 Have you tried any of these products or bought any Charlotte Tilbury products recently? I'd love to hear!